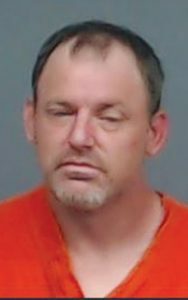 A man who had just learned from a Bowie County judge that he would be arrested for failing a drug test fled from the courtroom but was soon apprehended. The court bailiff tackled 41-year-old Jeremy Struehrenberg outside the Bi-State Justice Center and he was subdued by officers from multiple police agencies. When Struehrenberg was brought back into the courtroom, he was shirtless and shoeless and his trousers were down around his ankles.